When we listen... can we see, touch, or even smell the sound? 3rd May 2017, 8 pm, John Field Room, National Concert Hall, Dublin. 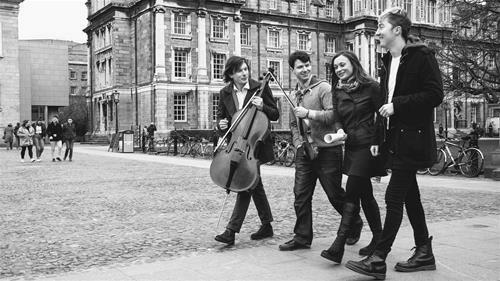 10th May 2017, 5 pm, Music Department, Trinity College Dublin. rinity College Dublin. Explore touch, sight and aroma of sound through music and visual art. 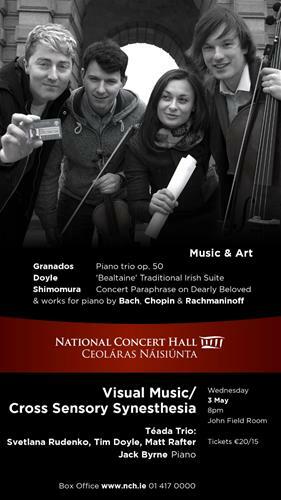 Featured works are by Bach, Chopin, Granados, Yoko Shimomura and Irish traditional favorites. The project is inspired by recent exhibitions in China, Spain and California in the growing fields of Synesthesia Science and Art.